Dennaton Games definitely hinted that Hotline Miami was coming to PS3/Vita but now it’s been confirmed, in a Playstation Blog update. You’ll be able to pick up the title on June 25 and it will support cross-buy and cross-saves across PS3 and PS Vita. Some new content will also be hitting this version with a new mask named Russell the Raging Bull. His ability is to make the entire game black & white except for the blood and neon text. So radical. There’ll also be leaderboads, trophies, and the Vita version will support touch-sceen lock-on. This entire package will only set you back $9.99. 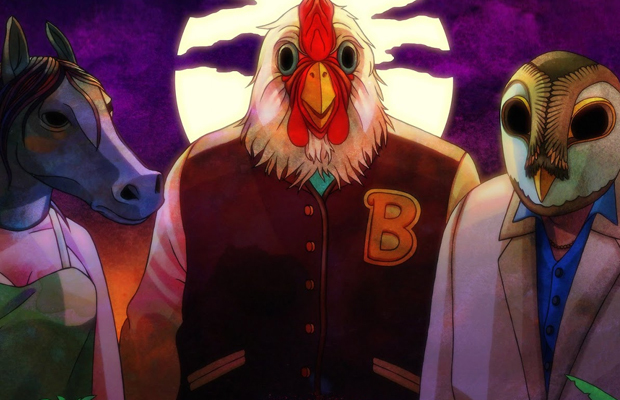 Hotline Miami 2: Wrong Number isn’t currently slated for PS3 and PS Vita as Dennaton want to finish the the PC/Mac/Linux versions first. But Abstraction Games, makers of the PS port, might be porting it over for them so it could come out at the same time, due out late 2013.